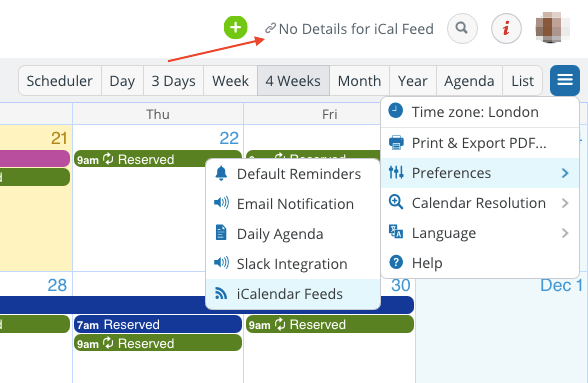 You can set up inbound calendar feeds from other calendar services, such as Google Calendar, into your Teamup Calendar. This enables you to see events from multiple calendars in a single view. 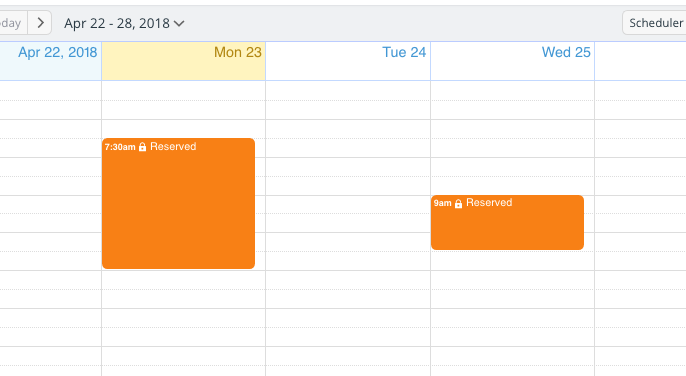 However, since Google Calendar does not provide the option to hide event details, the full details of any Google Calendar you add as a feed to a Teamup Calendar will be visible, at least to the calendar administrator. To avoid sharing details this way, use this method of setting up an inbound feed from a Google Calendar. First, create a free Teamup Calendar. Add your Google Calendar to it as an inbound iCalendar feed. Create a custom calendar link to this Teamup Calendar. Give this calendar link a read-only-no-details access permission. Use the read-only-no-details calendar link to generate an iCalendar feed URL. Use that iCalendar feed URL to add your Google Calendar feed to any shared Teamup Calendar. Open the calendar with the correct link, then generate the feed URL. With this method, you can ensure that no other people can see the details of the Google Calendar feed. Since the calendar link used to generate the iCalendar feed URL has the read-only-no-details permission, it will show only which slots are reserved and which are free, without including any event details. Add-only, no-details permission will show events as Reserved.